The Coolidge Cup is a national debate tournament sponsored by the Calvin Coolidge Presidential Foundation. 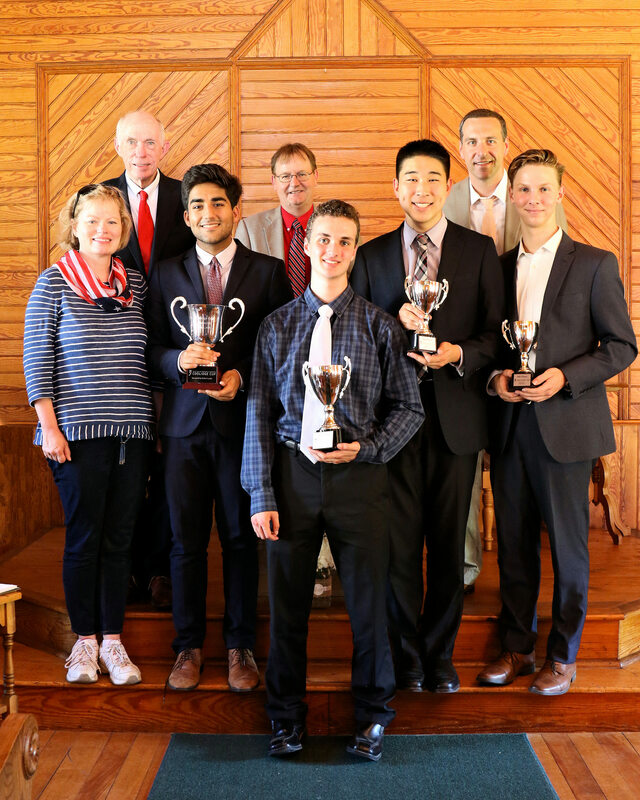 Debaters qualify through various preliminary competitions across the country for a chance to compete in the Coolidge Cup tournament, held in President Coolidge’s historic hometown of Plymouth, Vermont. The tournament takes place each year during the week of the Fourth of July. A total of $10,000 in scholarship prize money is awarded to the top finishers. To compete in the Coolidge Cup, debaters must qualify either through a designated preliminary competition or through the Coolidge Cup application process, which includes a video submission. Approximately 75 to 80 debaters will compete at the Coolidge Cup. All Coolidge Cup competitors must be in grades 9-12 during the 2018-2019 academic year. The Coolidge Cup is an invitational tournament. To earn an invitation to the tournament, debaters must be a top placer in one of our Qualifying Tournaments, or be one of the students selected via the Coolidge Cup Online Application. The overall Coolidge Cup champion receives the $7,500 Robert L. Luddy Coolidge Cup Scholarship. The runner-up receives $1,500. Third and fourth place finishers each receive $500. New for the 2019 Coolidge Cup, we will recognize all Octofinalists (top 16 finishers) with a special gift. The Coolidge Cup is format neutral, meaning that the debate format is structured in such a way that debaters with experience in all different formats of debate are able to compete against each other effectively. In the Cup Championship tournament, debaters will debate in a one-on-one format. Specifics on speech times and orders, as well as scoring, will be forthcoming. We highly recommend you review our Coolidge Cup Debate Guide, which provides details about the tournament format, style, rules, and so on. The resolution and brief for the next Coolidge Cup will be posted here in the spring of 2019. Please check back then for details. The 2019 Coolidge Cup runs July 1-5. July 1st and 5th are travel days, and debate rounds will be held on July 2nd, 3rd, and 4th. A more detailed schedule will be posted here in late spring. The Coolidge Cup is held at the President Calvin Coolidge State Historic Site in Plymouth, Vermont. All lodging, dining, and local transportation costs for debaters will be covered by the Coolidge Foundation. The Coolidge Foundation will also cover the travel costs to and from the tournament for qualifiers. Although the Coolidge Foundation is not able to cover the cost of travel for parents or debate coaches, we welcome them to attend the tournament. More information is available on our Coolidge Cup FAQ for Parents and Coaches. While competing in the Coolidge Cup, debaters will stay at the Best Western Inn & Suites Rutland-Killington in Vermont. The Coolidge Foundation will provide a bus to transport students between the Coolidge State Historic Site and the hotel each day. On the incoming travel day, representatives from the Coolidge Foundation will meet debaters at Boston’s Logan Airport and shuttle them to Vermont. On the outgoing travel day, the shuttle will transport students back to Boston’s Logan Airport. Debaters will receive additional details. The Coolidge Foundation highly values the idea of the “citizen judge,” as we believe that good debating and good communication should be aimed at making a logical case that any person can understand. Volunteer judges do not need any prior experience in debate or debate judging. If you are interested in judging, take a look at our Information for Coolidge Cup Judges. We offer all the judge training you need in order to judge. If you can join us in Vermont in July, please Register to Judge the Coolidge Cup.